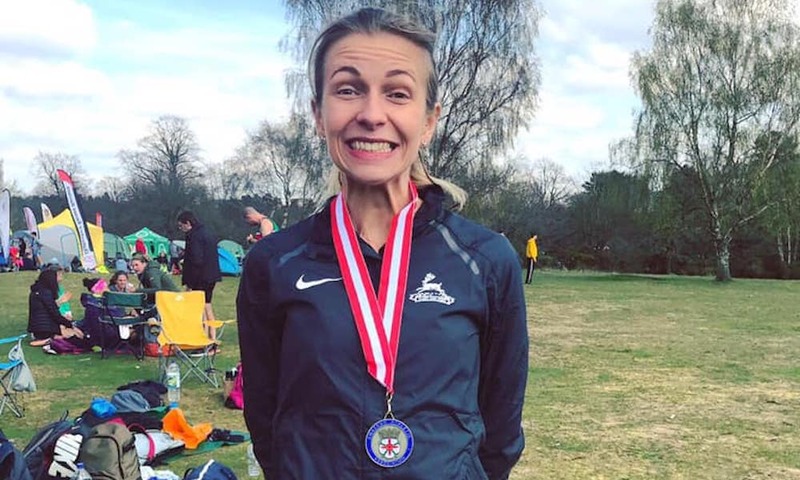 The London marathon-bound Birchfield Harrier may have big mileage in her legs but she proved her shorter speed is still there at the National 6 Stage Road Relays on Saturday (April 6). 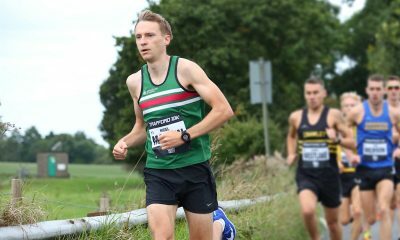 Carruthers ran 28:35 for the 5.31m long leg, the third fastest of the day at Sutton Park behind only GB’s Jess Judd’s 28:07 and UK-based Danish international Anna Moller’s 28:01. 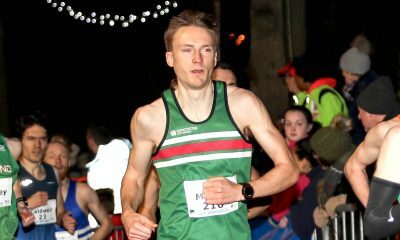 Crucially, that also represented an 18 second improvement over the same distance from just a fortnight before, when the 25 year-old ran the fastest long leg at the Midlands road relays on the same course. 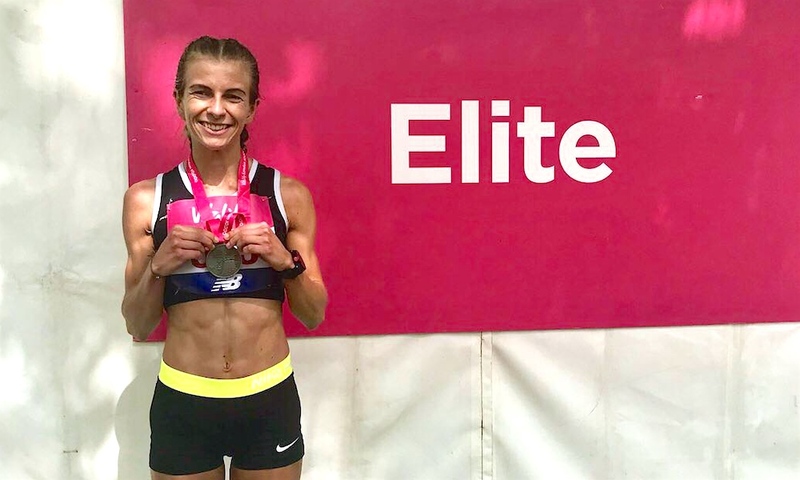 The 2:36 England international marathoner has certainly not been neglecting the speed sessions in her build up to London. While the 2019 World Championships qualifying event is undoubtedly her A race, she has used shorter distance events to boost her training to give her as much of an edge on the competition as possible. 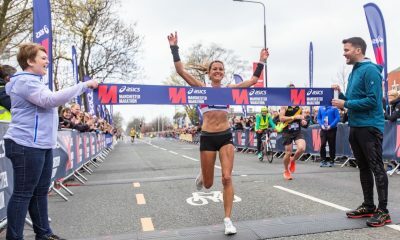 Regular low-16min parkruns alongside a 9:26 3k at the Armagh International – together with long marathon miles – surely helped Carruthers post her superb 71:57 PB at the recent Big Half Marathon too. So what does the Birmingham-based athlete’s training look like in a marathon build up? Robinson is based at the University of Wolverhampton’s Department of Sport and Physical Activity, where Carruthers spends much of her time outside of work in the gym and talking to the renowned sports psychologist, Professor Andy Lane. She continues: “A typical training week includes one session of shorter reps on the track, one of longer road efforts or a threshold run, a parkrun and then the traditional Sunday long run. It’s important to remember at this point that Carruthers only entered the sport seriously less than 18 months ago, reducing her marathon PB from 3:22:58 in 2017 to her current 2:36:48 best last autumn under the coaching of Gary Warhurst. Since teaming up with Robinson soon after she has built on those first crucial training building blocks in impressive style. It’s all about the speed work, she says. “Before this build up I’d never really done speed work and my training was much more one paced,” she explains. It’s in the gym where Carruthers really is a step ahead of many of her competitors, though. “Despite the attention it gets online, I still think a lot of runners neglect this side of the sport,” she observes. “I know I would struggle to get through the training if I didn’t pay attention to strength and conditioning. “The fact I have a strong background in the gym means I appreciate the value of being strong and resilient. “I do small amounts of S&C throughout the week, with one longer session on a Thursday evening. Rhys Lincoln (Hayley’s S&C coach who works at the University of Wolverhampton and is also a professional Ozzie Rules player) is the expert and I take his advice. I’m lucky that I get to use the university’s S&C suite, which is a great facility. In the modern world of commercialised running, sports supplements and running nutrition advice is abound. Carruthers is keen to keep this area of her life as simple as possible, and just eat real food. While she does not shy away from sports drinks such as Maurten, it is her day to day diet of whole foods that keeps her going. “One of our keys with this is not to overthink,” she confirms. “There’s so much literature and advice out there which I think can become overwhelming. As any seasoned marathoner will know, being physically well trained for the race is only half the battle. The mental side cannot be neglected, but it is surprising how little time many runners put aside to prepare themselves for the negative voices that often rear their ugly heads in the latter stages of the marathon – or even earlier if outside forces are at play, such as adverse weather. Carruthers has always been well aware of the need to be prepared for those potential race-upsets. She has read and listened to sports psychology books and podcasts widely since she began her rapid climb up the ranks of the sport’s elite. “I do love a mantra,” she admits. “My dad is always a good source for those. ’Run Brave’ was his motto for the Big Half. I knew he was waiting at the end so I tried to think of that throughout the race. I also try to envisage some of the hard sessions I have done and think how I have got through tough times before and I can do it again! “I listen to podcasts in the car when I am driving to and from work too. I really like ‘Let’s get running’ and ‘Marathon Talk’, they always have really interesting and varied guests and are relatable. It’s impressive the Birchfield Harrier finds time to do anything else outside of work, running, gym work, reading and listening to podcasts, but that she does. When she’s not doing all of the above, Carruthers meets with Prof Lane on a regular basis to help her prepare for the mental challenges of running and racing at such a high level. A V50 athlete and a 2:57 marathoner from his V45 days, Lane is a sport and exercise scientist as well as a sports psychologist. Carruthers is all too aware of how lucky she is to have such a strong team around her at the University of Wolverhampton. “Given that I am also working (Hayley is a full time research radiographer at Queen Elizabeth Hospital in Birmingham) it is really fortunate I have the university’s facilities and Dan, Rhys and Andy right on my doorstep,” she says gratefully. “Dan and Andy have given me a whole toolkit of strategies to help with the mental side of things and I try them out in sessions to see what most suits me. It’s good to have different things to turn to in a race so you aren’t reliant on one thing. With just one running event on the calendar between now and the London marathon – her birthday parkrun at Walsall Arboretum on April 20th – Carruthers has time to work on those nerves and use that pre-race energy to her benefit.